Looking for a top-notch appliance removal service in New Jersey? Look no further than 1-844-JUNK-RAT. Since 1997, we are dedicated to provide fast, efficient, and professional service at a price you can afford. 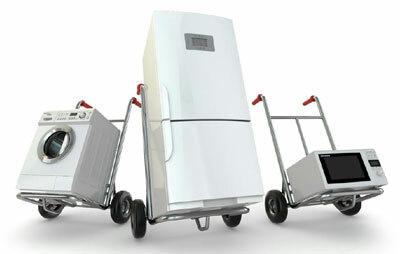 Little or huge, heavy or lightweight, there’s absolutely no appliance that we cannot lift and take away in New Jersey. 1-844-JUNK-RAT is blessed with the best crews who are intensely trained to do everything for our clients, including lifting, loading, and sweeping. This means you don’t need to do anything at all! Just wait for us to finish while you do other valuable chores at home or work. The best thing about our appliance removal service in New Jersey is that we don’t offer skyrocketing rates. In fact, ours is 25% cheaper than our leading competitors. What’s more, we base our prices on the space your appliances take up in our truck. This means you don’t have to pay for the entire truck space, saving you more money down the road. Getting your slot for appliance removal in New Jersey is extremely easy. Simply call 1-844-JUNK-RAT or 1-844-586-5728 to get started. Alternatively, you can book online at 1844junkrat.com and receive $20 discount on your billing!